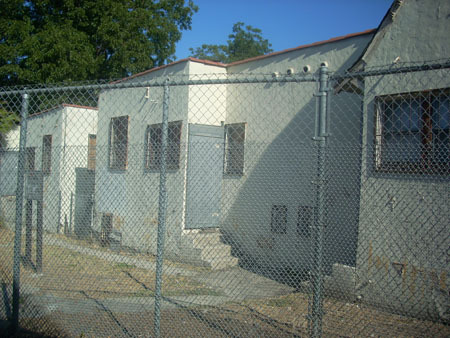 For more than 40 years, eight bungalows located behind a community arts space in El Sereno have stood abandoned by Caltrans, the owner of the property. Over time, neglect of the bungalows has fostered illegal activities, including drug use and gang violence, endangering the neighborhood, says El Sereno native Iris De Anda. Now, the El Sereno Bungalow Collective, an offshoot of the adjacent Eastside Café, a volunteer organization hoping to become a co-op, plans to remedy the situation by raising funds to convert the empty buildings into a larger arts space for local residents. “We have to reclaim them as if they were ours already,” Angela Flores, a spokesperson for the collective told EGP. The collective has spent the last six years organizing volunteers and trying to raise the funds needed to renovate the bungalows. But before the group could apply for grant funding, they had to first get permission from Caltrans, said Hector Flores, a collective member. To prepare for those conversations, the group, assisted by students from California State University, Los Angeles, spent three years gathering feedback from the local community. According to Flores, they presented over 500 surveys to Caltrans, which he said show that residents overwhelmingly want a safe after-school space for their children. However, on the heels of a report published Monday by the California Bureau of State Audits on the status of the Caltrans properties running along the proposed extension routes, the agency was unwilling to confirm their support for the bungalow project. The collective has received an $8,500 grant from the National Trust for Historic Preservation last year. They are required to raise a matching amount. If raised, the money will be used for historic reports on the bungalows, architectural blueprints, and future community planning sessions, the group said. The matching portion of the grant is the incentive behind a fundraising campaign launched Monday on Indiegogo, an online fundraising site, collective member Joe Parker told EGP. “One of the strengths of the Zapatista movement, which we’re known by, is to use the Internet to grow support, large networks of support,” Parker said. The group hopes to raise $10,000 by Sept. 20 through local, national and international donations made online — making the bungalow project one of the largest endeavors undertaken by the Eastside Café, Angela said, which currently does not have nonprofit status. To increase their chances of meeting the goal, Angela coordinated a short film for the group’s campaign page in which the collective explains its mission and provides background on the Eastside Café. As explained in the film, the group hopes to convert each bungalow into community art spaces, which could include a film production room, a multi-purpose performing arts room and a kitchen to teach sustainable cooking classes. The group’s main concern, however, continues to be with the proposed 710 freeway extension project. According to Hector and Parker, a Caltrans representative a few months ago told them that the transportation agency hopes to complete the environmental impact report on the underground alternative route in a year or so: the results of the EIR could impact any future development of the bungalows, they said. Hector, however, added that “Caltrans must adhere to the Roberti Bill” which states that if the property isn’t used as initially intended, then it must be sold at a reduced price. The bill may not apply, however, should the freeway project see completion, and Caltrans uses the bungalows for something else. Caltrans tried to demolish the bungalows in the 1990s with support from some local residents, according to Parker. However, a greater majority of locals filed for a court injunction to keep the bungalows standing, he said. De Anda, also a collective member, said that the community in El Sereno, including around the Eastside Café, does not approve of any extension project that threatens the bungalows’ future. “Since it’s a low-income community, I think they think it’s easy to try and squeeze it by us, but there are a lot of residents that are very vigilant and have a lot of love for this place, and they’re the ones that stand up in making sure that the 710 doesn’t proceed,” De Anda said. Update: Assemblyman Gilbert Cedillo is now working on legislation to help deferred action beneficiaries qualify for a driver’s license, Cedillo’s Communications Director Conrado Terrazas, told EGP on Aug. 24. State Assemblyman Gilbert Cedillo is working with Gov. Jerry Brown’s office and the California Department of Motor Vehicles (DMV) to administratively allow undocumented youth who are granted deferred action status under a new federal program to apply for driver’s licenses, according to Conrado Terrazas, communications director for Cedillo’s Los Angeles office. Cedillo is not drafting legislation, Terrazas clarified. “The Governor has said he will not sign a bill that includes all undocumented immigrants,” Terrazas told EGP on Tuesday. In a written statement, Cedillo said approval by the governor and the DMV could benefit up to 350,000 immigrants eligible for deferred action. “We will continue working with all parties to hammer out the details to make this is a reality including carrying legislation if that is required,” Cedillo stated. “Granting the right to apply for a California driver’s license for those granted deferred action is the first step in my efforts to secure the right to apply for drivers licenses for all undocumented residents,” he added. “This is a huge victory not only for myself but for the members of the community at large who have been waiting for a long time for the right to apply for a California driver’s license,” Cedillo said. 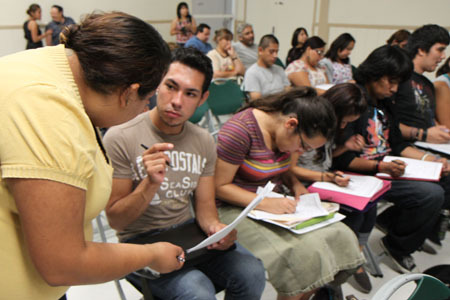 Excitement over the newly instituted Deferred Action for Childhood Arrivals (DACA), which will allow eligible applicants to receive a work permit, caused many to assume they would also be eligible for driver’s licenses. But some states, like Arizona and Nebraska, have already announced they will prohibit these soon to be newly classified undocumented immigrants from receiving driver’s licenses in those states. “This is because under current state regulations, only certain types of federal immigration documents support the issuance of a California driver’s license. Further state legislative or regulatory clarification may be needed if the federal government’s new deferral program results in the issuance of new or different immigration documents,” said DMV Public Affairs Officer Armando E. Botello in a statement. The State Legislature has approved bills by Cedillo that would make it legal for undocumented immigrants to get a driver’s license, only to have them vetoed by former Gov. Arnold Schwarzenegger, according to Terrazas. One of his bills, SB 60 was signed by then-Governor Gray Davis, but repealed by Schwarzenegger before the law went into effect. A historic theatre in unincorporated East Los Angeles that had been neglected and vacant for years, this week reopened as a national retail pharmacy. The opening of the drug store at the site of the one time theater was not without controversy. Some eastside residents, led by the environmental activists group, Mothers of East Los Angeles, MELA, were strongly opposed to the Golden Gate Theatre being used as a CVS pharmacy, wanting instead for the property to be as a cultural arts center or charter school. MELA members and supporters attended planning meetings to oppose requests for construction permits and a liquor license, and even offered a substitute proposal, created by Barrio Planners Inc., to reuse the building as a theatre and to rebuild another building demolished after the Northridge earthquake. The plan was ambitious, costly and maintained many of the historical elements of the building, but lacked a funding source. Others in the community, however, cited the need for a business that would create jobs, and said they were tired of the building be closed up and an eyesore in the community. On Tuesday, MELA Executive Director Diana del Pozo-Mora visited the new pharmacy; it was a bittersweet experience, she said. “Honestly, I think they did a really good job … of course it’s not what we would have liked to see … but I like what I see,” del Pozo-Mora said. The quantities of alcohol for sale was not “overbearing,” she added. MELA had opposed the sale of alcohol at the site. Del Pozo-Mora said the building’s interior was not a surprise because it had been described in the remodeling plans, but seeing it in person, she could not help but wonder what it would have been like if their proposal had materialized. “The Vega Building is lost … we see a parking lot now,” she said. Del Pozo Mora said she was at the CVS for an hour and didn’t observe anyone purchasing alcohol, she noted that the new store has a good selection of refrigerated food items. People can pick up a sandwich during their lunch hour, she said. “I’m happy to see it being utilized, the community using it,” she said. The theatre feels compact but maybe her perspective is skewed because she was a child when she visited the theatre previously, she said. “L.A. 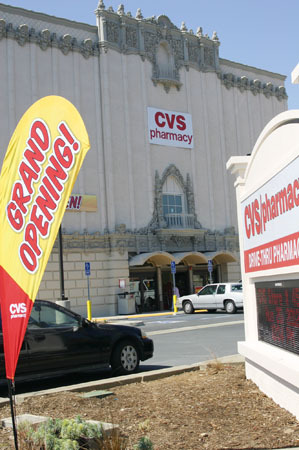 County insisted that the developer, the Charles Company, keep the building’s historic architecture intact – and they did – plus this CVS will provide enhanced patient counseling in their pharmacy. We kept the beauty of the building while bringing yet another retail option to East Los Angeles.We simultaneously brought this vacant building back to life while preserving its historic elements. 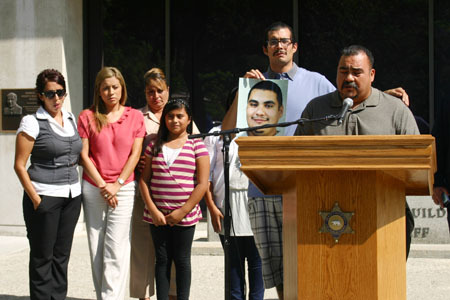 It’s a win-win,” Molina said in a statement on Tuesday. The executive director of the Los Angeles Conservancy, Linda Dishman, plans to visit the theatre in the near future, but noted there were several proposals presented over the years to demolish the building. “The LA Conservancy is pleased CVS was willing to work with the theatre and not demolish it,” Dishman told EGP. The Conservancy’s goal was to retain the building’s listing in the National Register of Historic Places, and it does retain its listing, she said. Dishman said she was glad the building is still standing and it will be become part of the community. “Hopefully people will come in and start asking questions and become more interested in historic preservation,” she said. Four candidates vying to be Los Angeles’ next mayor participated in a mayoral candidate forum in Boyle Heights on Aug. 16. The event, presented by Ya Basta and the East Los Angeles Chamber of Commerce, included the participation of City Hall veteran Councilwoman Jan Perry, radio broadcaster and lawyer Kevin James, former Villaraigosa aide Emanuel Pleitez and activist Deacon Alexander. About 100 people attended the forum that took place early in the campaign/election cycle, the filing period for which is still some time away, and the primary race not until March 5, 2013. Los Angeles City Controller Wendy Greuel and Councilmember Eric Garcetti (CD-13), who have also announced they are running for mayor, and widely considered to be among the front runners, did not attend the forum. Forum moderator, Art Camarillo of Glassell Park, asked the participants for their views on a variety of issues, from pension reform to the Mayor’s Partnership for Los Angeles School, and the Gang Reduction Youth Development program, among other issues. All agreed that some form of pension reform is need. James, a former Asst. U.S. Attorney and former television and radio broadcaster, said Los Angeles is on the verge of bankruptcy and givebacks from current pension recipients, for example, need to be negotiated in order to avoid fiscal insolvency. “My opponents don’t have the guts to take the issue to court, like it happened in San Diego and San Jose. I can guarantee you, there isn’t a judge in California who will say we have to pay our pensions before police and fire employees [salaries] in the City of Los Angeles,” he said. Perry, who has represented Council District 9 for 11 years, said it is “easy to talk about pension reform with people who have not been hired yet.” Beside reducing pension benefits and amounts for new city hires, she said the age to qualify for pensions also needs to be increased, and the total amount individuals can qualify needs to be reduced as well. “We will have to continue to negotiate with all unions—and all the unions must be treated the same. Some unions are treated differently than others and that creates an imbalance,” Perry said. “If we do have to declare bankruptcy… someone’s got to do it,” Pleitez said, noting he was not interested in being a popular politician. Alexander, who also identified himself as a Skid Row resident and former member of the Black Panthers, said he is a retired union carpenter and supports labor unions. He said a better alternative to closing the city’s deficit would be for the city to stop giving away millions of dollars to developers. “Union jobs is how we make it out of the ghetto, that’s how we get into the so-called ‘working class.’ It’s through union work,” Alexander said. Responding to a question regarding the Gang Reduction Youth Development (GRYD) program that provides gang intervention and prevention services, Pleitez said he supports it and disclosed that he is chair of a non-profit that receives some GRYD funds. James and Perry also said they support the program, while Alexander said it is “a way for a few of our friends to get paid” and he said he would terminate it. Perry and James said they support the Partnership for Los Angeles School, a non-profit created by Mayor Antonio Villaraigosa to turn around the worse performing schools in LAUSD. Alexander, however, was more neutral explaining the program has helped schools in Watts but he doesn’t support schools being “put into private hands.” Pleitez was the only candidate who said the Partnership was “not necessary,” his response elicited applause from members of Ya Basta, which has been working to remove Roosevelt High School from the Partnership’s management. Ya Basta was formed roughly a year ago, the group’s name is not an acronym. “It means ‘we had enough,’ of all this stuff the politicians do to us,” Art Pulido, president of Ya Basta told EGP. The group wants government accountability in order to improve conditions in East and Northeast Los Angeles communities. Ya Basta is planning a city attorney candidate forum; current City Attorney Carmen A. Trutanich who made an unsuccessful bid for the County D.A. nomination, attended the candidates forum held at La Casa del Mexicano. 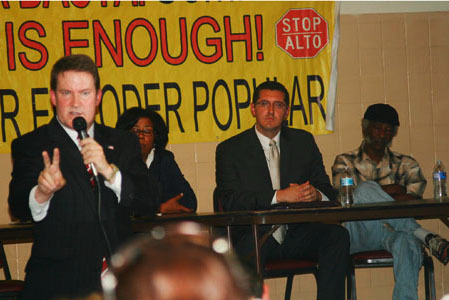 To learn more about the candidates, visit their websites: http://kevinjamesformayor.com/; http://www.janperry.com/; http://www.pleitezforla.com/; Alexander does not have a website. The colorfully tiled two-story building that was used for decades as the headquarters of the Self Help Graphics and Arts, a center for Chicano artists, has a new lease on life. 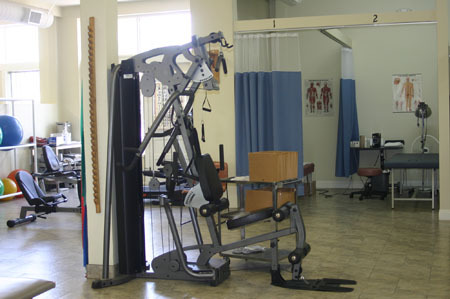 The building is now home to a physical therapy office, specializing in worker’s compensation patients. Remodeling for a medical clinic is also underway at the site. The building located on E. Cesar Chavez Avenue was purchased by Atlantis Health Management, Inc. President Alejandro de Hoyos in Aug. 2011 for $1.2 million and has undergone some extensive renovations. Atlantis Health Management, Inc. is relocating operations from their 3rd Street location, in East LA, to the new site, according to de Hoyos. De Hoyos said the building allows them to offer all their services under one roof, which was becoming a challenge at their soon to be former site. The first story of the building is now split into two. The physical therapy office is open accepting seeing patients, while the clinic, which will house orthopedic surgeons, is currently under construction. Casa Puebla, a former tenant on the bottom floor, moved out in June, De Hoyos said. The top floor will be used as office space and as a rental hall for events such as Quinceañeras and other parties, he said. Dr. Hoyos admits he knew nothing about the building’ s history or the controversy surrounding it when he bid on the property. It was not until the property was in escrow that he learned about the building’s history, he said. Built in 1927, the facility was for a long time home to Self Help Graphics & Arts, an eastside Chicano arts institution— until the Los Angeles Catholic Archdiocese on behalf of the order of nuns that had allowed the artists to use the space rent-free for decades sold it. Unable to pay the new market rate rent, Self Help Graphics & Art moved to E. 1st Street in Boyle Heights. “When people come, they say ‘I cannot believe it’s the same place,’” De Hoyos said about the improvements to the building. De Hoyos says he wants to keep the building’s exterior the same, and make it a clean and nice facility for his clients. 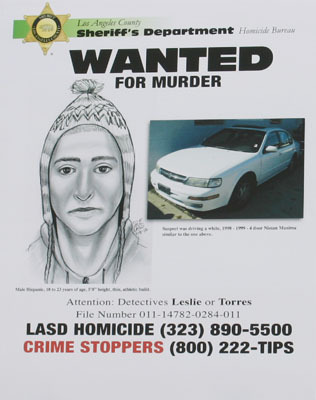 Nonetheless, the longstanding use of the building by Chicano artists is something he would like to see continue. De Hoyos says he would like to see shows, performances, gallery exhibits and even Christmas parties held in the upstairs hall. De Hoyos is no stranger to the entertainment industry; he is a producer and actor. He is also an entrepreneur. He has a translation company that specializes in interpreting for doctors, which is how he eventually became interested in health management. Injured workers who are using Worker’s Compensation often don’t get treated properly, not by their employers nor by some of the doctors who treat them, De Hoyos told EGP; that is why keeping the building presentable and giving his clients quality and professional care is so important to him, he said. “I want people to see that this is something good for the community,” he said. 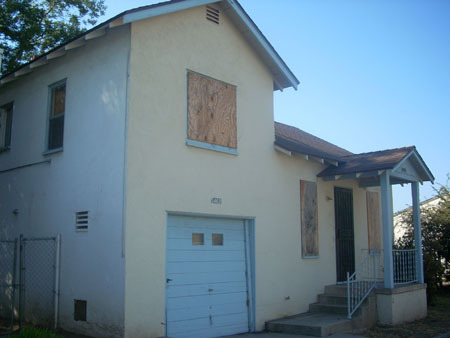 In 2011, the former Self Help Graphics and Art Building was determined eligible for listing in the California Register of Historical Resources. However, the building was determined as a historic resource “based on its cultural, not architectural, significance, setting an important precedent,” the LA Conservancy states on its website. Montebello Golf Course For Sale? Though it has been proposed in the past, especially during cash-strapped times, Montebello city officials have always been reluctant to part with its golf course on a hill, with its popularly-used banquet hall located ideally off the 60 freeway. The Montebello city council was scheduled to consider a proposal by an interested buyer in closed session yesterday after press time. The company, Dae Yang USA, Inc., sent an “unsolicited” proposal to the city, Planning Director Michael Huntley said. The city was not seeking buyers, but “because of difficult financial times, we have to evaluate all opportunities,” he said. Wednesday night would be the first time the council could give direction on the proposal. Montebello could use the quick cash. The city council approved a balanced budget this year, but its success is dependent on borrowing from its self-insurance fund, normally reserved to cover claims and liabilities. While the city believes it is able to make back enough money by the end of the year to pay for its expenses, city staff is regularly monitoring city funds. Still, officials say revenue from the golf course, though not ideal in recent years, seems to be on its way up. The golf course appears to be “doing better than it has [in the] past several years,” Interim City Administrator and Finance Director Francesca Tucker-Schuyler told EGP earlier this month. The sale of the golf course has been proposed in the past as a way to bring in revenue, but past councils have always turned away buyers. The golf course is “considered somewhat of a sacred cow… with this particular piece of property, again it’s the Montebello country club. I believe the council feels it’s an important asset and is something that should be maintained by the city,” said Huntley. Councilman Jack Hadjinian also seemed uneasy with the proposal and said he would not be looking forward to “the idea of selling” the golf course, adding, “there are better options to entertain” for bringing in revenue. Councilman Jose Huizar last week called on the Los Angeles City Council to oppose any 710 freeway extension route option that negatively affects communities, according to a news release. “As a Metro Board member, I voted against moving the current EIR forward since it lacked a clear plan of action and a designated route,” Huizar said. He added that current ambiguity over which route to use is “causing fear and confusion for many local residents” and that the project must identify one potential route to compare to the no build option and multi-modal options. Huizar also asked of Metro to hold a community outreach meeting on September 19 at 6:30 p.m. at the Highland Park Senior Center to provide residents and stakeholders with a greater understanding of the EIR process, the studies being conducted and a timeline.